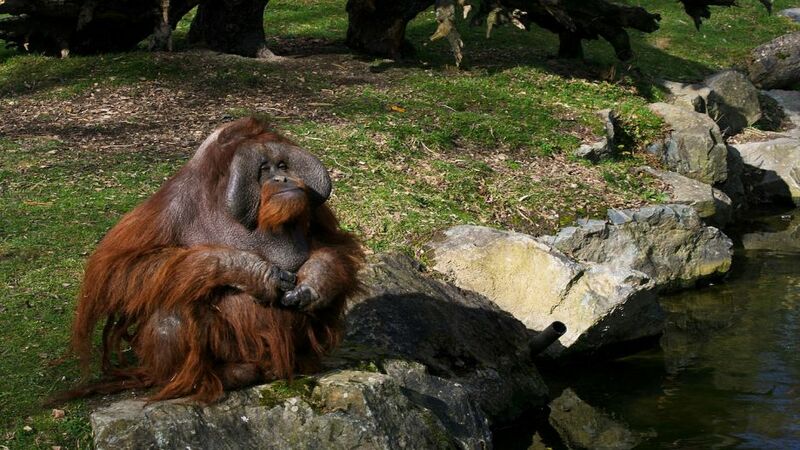 The Bornean orangutan is native to the island of Borneo in Indonesia, Asia. His name means man of the woods, and of course, his face is the most similar to the human, with his beard, mustache and expression. 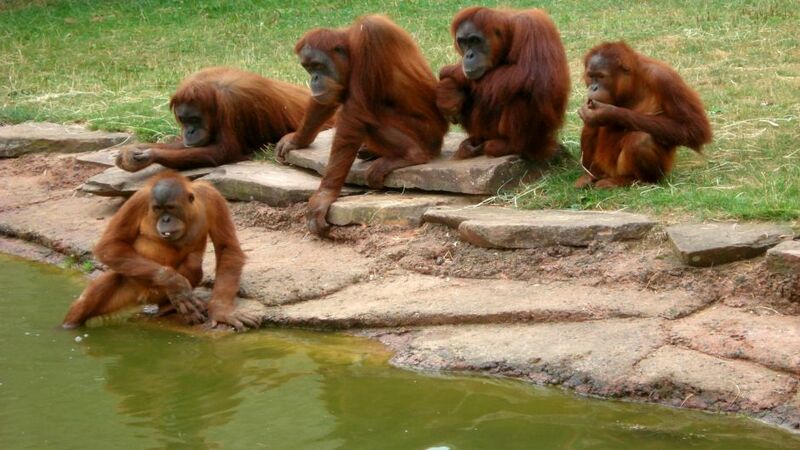 Orangutans are in danger of extinction according to the IUCN Red List of mammals. The total number of Borneo orangutans is estimated to be less than 14 of what it was in the recent past (from 10 000 years to the middle of the twentieth century) and this sharp decline has occurred especially during the last decades, due to to human activities and development. The females weigh between 30 and 50 kilograms, while the males reach 90. They measure up to 1.5 meters high, and the wingspan exceeds 2 meters long. They have a sparse reddish brown coat. 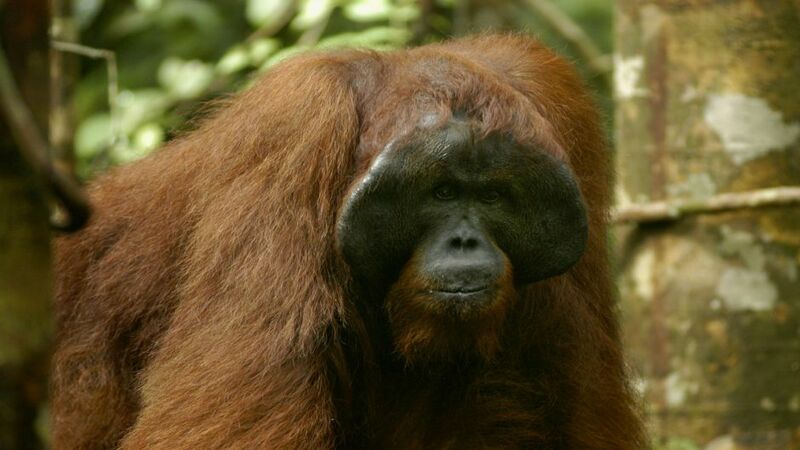 The males have large pads on the cheeks formed by connective tissue and continue their growth throughout life. It lives in the humid jungles, and delimit its territory with howls that are amplified in its laryngeal pouch. They have about 13 different vocalizations.